The title of this post says it all. 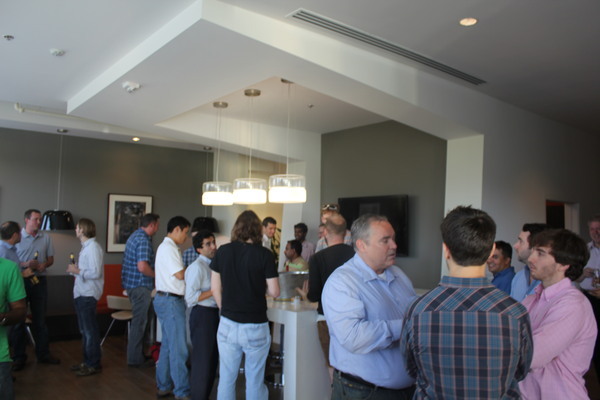 The next Austin Co-founders Meetup is on Tuesday October 11th from 6:30PM to 8:30PM. This meetup has the goal to bring entrepreneurs and techies together so they can work with each other in awesome Austin startups. Is not all techies and entrepreneurs, there are also angel investors, and people with skills in sales, marketing and business in general. If you are a software developer interested in joining a cool startup, you can attend for FREE. Just e-mail me or leave a comment below with a link to your LinkedIn profile or other evidence of your technical skills. If you are a consultant looking to sell some services to young startups, you are in the wrong place. If you are interested in pitching, please contact me ASAP to make sure I reserve a spot for you. Cheers and I’ll see you on October 11th! ← Startups: 5 things that you need to be doing!